Two Vietnam gaming resorts are likely to be in the first wave of permits under a trial scheme to allow economically-qualified locals to gamble in casinos in the Southeast Asia nation. So said Augustine Ha Ton Vinh (pictured), an academic who says he has been advising the government there on liberalising Vietnam’s gaming industry. 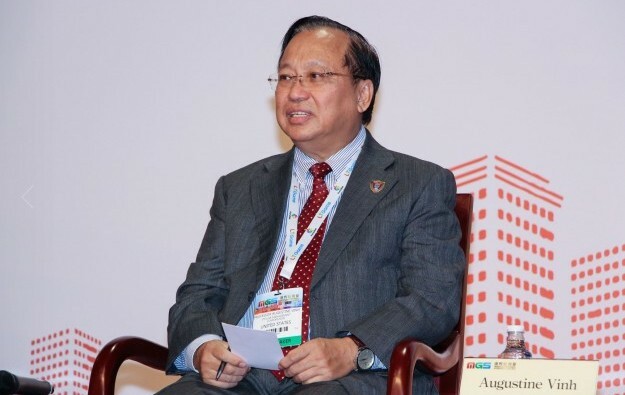 “At this moment, it is an integrated resort in Van Don in [northern Vietnam] and one in Phu Quoc Island in the south that will be allowed to accept Vietnamese [local ID-holders] betting,” Mr Vinh said on Thursday, at a panel moderated by GGRAsia at the MGS Entertainment Show (MGS), a casino industry trade show and conference in Macau. He added: “There are two more in limbo, which are in Ho Tram and at Hoi An. In addition to these four that already have their [locals'] licence approved, there are three more coming up.” Mr Vinh added. The academic did not disclose further details. It had been reported in the Vietnamese media earlier this month that locals would be allowed to gamble at some Vietnamese casinos starting from next month, after a follow-up government decree on the topic in October. The MGS panel also discussed possible developments of the Macau casino market under the local government’s plan for economic diversification. Vitaly Umansky, a senior analyst at brokerage Sanford C. Bernstein Ltd, commented on the relationship between the premium mass and VIP market. Macau is well-known for being heavily-skewed toward high-denomination bet live table games. The analyst said that while he expected mass-market table play and the VIP market to continue to expand in gross gaming revenue (GGR) terms, he thought growth in the mass market would outpace that of the high roller segment in the long run. He also suggested VIP would continue to experience high volatility in revenue terms due to the fact that junket business revolved around capital flow. The analyst suggested that the recent strong recovery of the Macau VIP market – after several years of decline attributed by some commentators to China’s recent anti-corruption drive – was due to an increase in capital inflow into the junket system in 2016 and early 2017. It allowed the junket operators to issue capital to players in the form of credit the analyst said. Mr Umansky also asserted that in some cases there was a “crossover of players” between the premium mass and VIP segments, a phenomenon he described as “critically important”. He explained that, unlike in the VIP market where casino operators do not establish direct contact with VIP players because those players only liaise with junket hosts, the operators can communicate with players in the premium mass market. This meant that casinos can directly market to the players and persuade them to visit the casinos more frequently. “If you look at Studio City, for example, which opened without VIP for the first year, they had a really tough time ramping up. One of the reasons – though not the primary one – was that they did not have VIP, which means that their premium mass business also suffered because of the lack of crossover of players,” he said. Studio City is a Cotai casino resort property majority owned by Melco Resorts and Entertainment Ltd, and which opened in late October 2015. Market-wide that month, Macau’s gross gaming revenue dropped 28.4 percent year-on-year. October 2015 was nonetheless the first month since January that year in which the rate of year-on-year decline in Macau GGR was under 30 percent. Grant Govertsen of brokerage Union Gaming Securities Asia Ltd, who also sat on the Thursday MGS panel moderated by GGRAsia, said he believed that casino operators had incentives, namely via a higher profit margin and the ability to generate a better mass-market revenue figure, to entice players to switch from being a VIP to a premium mass player. “When you look at the premium mass customer, call it a 25-percent profit margin on that individual; versus a 40- or 45-percent profit margin if they are regular mass, versus 10 percent if they are VIP… I think ultimately [the casino operators] want [the premium mass customer],” he said. “At the same time… ultimately, it looks better too, right? Putting these people on premium mass juices the mass revenue line and not the VIP line, which is I think [in the latter case] more likely to result in… raising of eyebrows, that ‘Hey, maybe this growth rate is too high’,” he added. Mr Govertsen also noted that casino operators were spending notably more on the premium mass customers than on the “regular” mass ones. “Given the relative profitability, casinos are going to save their best hotel rooms for the in-house players rather [than] for junket players,” he noted. The analyst also suggested that Macau junket operators were no longer able to control the flow of gamblers to the city in the manner they had in the past. “Historically, the junkets generally dictated [where the players went to gamble]. That has been changing over the years and they are losing some amount of leverage over their customers,” he said.